While Jason Hartman’s team has written a lot about the expatriate lifestyle, we’re noticing a growing number of people asking us what exactly the phrase expatriate refers to. It’s a great question—and an explanation we’re happy to provide. The dictionary definition of expatriate (or ex-pat) tells a little about what it means, in a technical sense. But expatriates define themselves in a number of ways. First, the term can refer to someone who has moved abroad either permanently or temporarily. 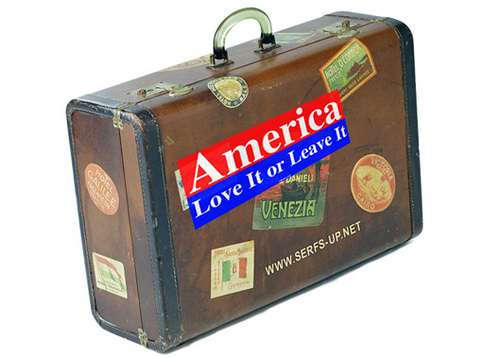 An expat lives in a country and culture different from the one in which they were raised or a country different from where that person legally resides. They’re the outsiders living the inside life. But each individual defines the term a little bit differently—in fact, the word has morphed considerably over the years. For some, expatriate implies a temporariness that doesn’t describe the way they feel about their new home. When a person intents to live in a particular place forever, defining oneself as an expatriate is tricky. Expatriates are not tourists and they are not temporary residents, and the distinction is key for some. Other people define themselves as expatriates without hesitation because of the favorable tax status implications. Expatriate can be term of wealth and status, and many are embracing the term. An expatriate can also be someone who has left an office in the United States to work for an office in another part of the world. Expatriate employees may receive relocation assistance and a housing allowance. Employee expats may also have to comply with United States income tax regulations (which can be an added difficulty). When defining expatriate, it can be noted that, although diverse, there are a group of qualities that many expatriates share. Typically, expats tend to have a high level of education and a high income level. In the case of employees, expat allowances tend to be high and can cover relocation, airline travel, and even children’s tuition fees. But it isn’t all sunny—expats also deal with a shared set of struggles. Many (even most) do not speak the local language of the country they’re living in. They experience significant culture shock, potential prejudice, and trouble adapting. While reasons for wanting to be an expatriate range from career to an overall thirst for adventure, they typically share a desire to learn and to be a global citizen. It is important to understand that the definition for expatriate offers only a small glimpse into their complex world. A citizen spending a few months or years or lifetimes in another place—and then you’ll have to ask! Once you’ve got the definition down, it’s time to delve a little deeper. While it is no secret that there are a growing number of Americans moving abroad, more are beginning to renounce their US citizenship. Not because they’re renouncing America—but because tax rules are working very much against them. While many expatriates consider the country where they currently reside home, giving up citizenship often brings up complicated emotions. And still, 1,001 US citizens and green-card holders gave up citizenship in the first three months of the year. In 2013, 2,999 renounced citizenship—the most since the government has made data available. Much of this is due to the five year campaign by the United States to search for undeclared bank accounts held by Americans living abroad. For those Americans who fall within the middle income bracket, it makes more sense to renounce citizenship, lest they risk taxes and penalties that are pretty big. Since 2009, the government has managed to collect over $6 billion in taxes, in interest, and in penalties from over 43,000 taxpayers within the United States. 100 criminal indictments have been made, most famously that of Ty Warner, the man who invented Beanie Babies. Swiss bank accounts helped convict him of tax evasion, but he’s simply one of many. When an American living abroad renounces citizenship, they are still responsible for taxes due for past years. However, renouncing citizenship prevents large taxes and penalties for the future and the future of their children. As such, around 8,000 taxpayers have, in the past five years, renounced citizenship—up from less than 5,000 in the preceding decade. The number of expats inquiring about tax law has also increased. Americans who aren’t intentionally hiding money from the government (and don’t have a ton to begin with) are being penalized, and it has them scared. Those that are not considered wealthy, happily pay taxes in the country where they are residing, and are not attempting to dodge taxes in America feel as though they have to renounce. This is particularly true of those that have assets and/or are approaching retirement. Right now, 7.6 million Americans live outside the US, while only a very small number file the financial disclosure forms required of them. The crackdown comes on the heels of a Swiss bank admitting (in 2009) to having helped wealthy Americans hide their money outside the country. Instead of accepting punishment, the bank avoided charges by paying $780 million to the US—and, of course, relinquishing information from more that 4,400 accounts. They aren’t the only ones—several other banks found themselves in similar situations and vigorous new tax enforcement began. So, while most other developed nations don’t require it, the US government taxes income earned anywhere in the world and, as such, is losing citizens. And they’re even paying for that—$450 in processing fees. Expatriate tax law can be a confusing thing, made more so by the persecution by the US government. While expatriates live abroad, it is important to realize that many of them love their home country—a renunciation of citizenship should never be the inevitable choice.